The National Payments Corporation of India (NPCI) has also been working on an updated BHIM app, and one of the new features have started showing up. In August 2018, NPCI announced UPI 2.0 which brings features such as overdraft account, one-time mandate, increased transaction limits and more. you schedule payments for a later date. Say you pay a house rent of Rs 5,000 on 15th of every month, you can schedule the payment anywhere before that date. The money will still be in your account till the said date, but blocked (meaning you won’t be able to use it). The good part of this is that you keep earning the interest that your bank offers. 1. Open BHIM app and enter your 4-digit passcode to login. On the home screen, you will see a new “UPI Mandate” option right below Bill Pay option. There are four tabs – My Mandates, Create, Scan, and Gift. My Mandates will show you all the mandates that you have created, whereas scan option will let you create one using the recipient’s QR code. 2. Tap on Create under UPI Mandate and it will show you your recent UPI contacts to whom you have sent money. Choose one of the contacts, or add a new UPI ID on the top bar. 3. Enter the amount you want to schedule, and tap next at the bottom. It will the ask you for the frequency, which is one-time by default. 4. Here, you need to choose the validity (start and end date), add remark (what the funds are for), and tap proceed. All the details will show up on the screen, and if this looks perfect, tap on confirm. 1. 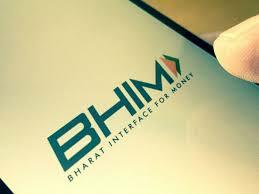 BHIM also allows you to send money as a gift using the UPI Mandate feature. To use this, tap on “Gift” and select the contact (recipient) you want to send money as a gift. 2. Enter the amount on the upper half of the tap, and select the occasion (birthday, anniversary, Diwali, and others). Next, choose the expiry date (the money cannot be claimed beyond this date), then add a personalized message, and tap on create. 3. Cross check the details (gift value, validity and message), and then tap on confirm. Here’s you will be asked to enter your 4-digit PIN and once the authentication is successful, the gift amount will be sent to the recipient, who just needs to tap and accept it.